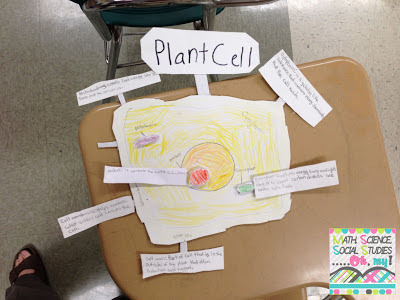 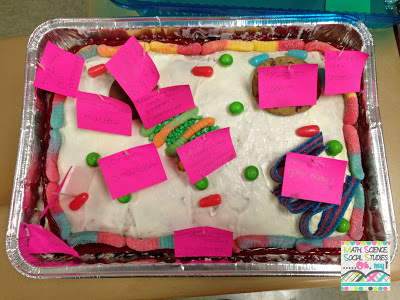 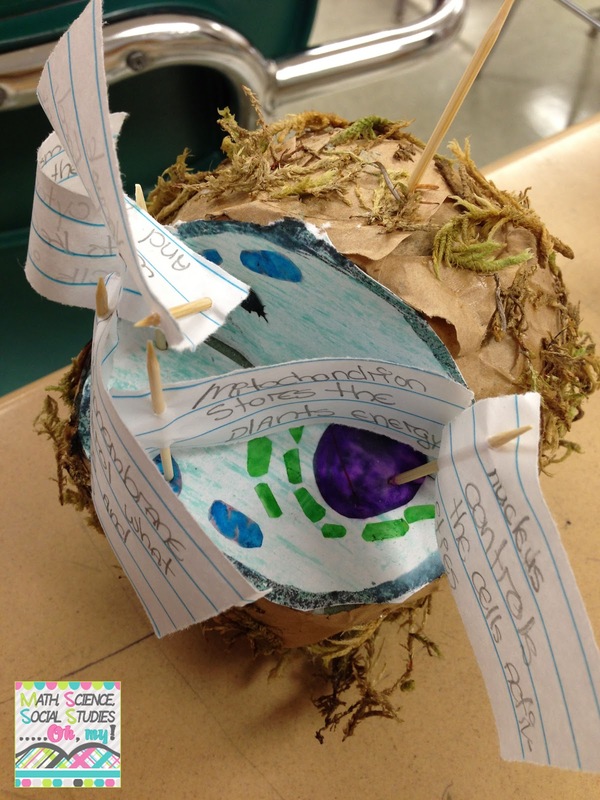 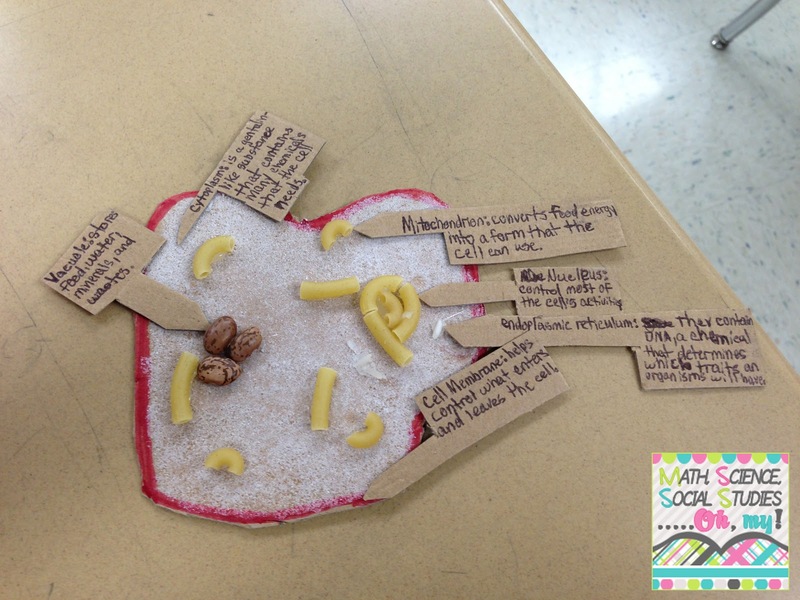 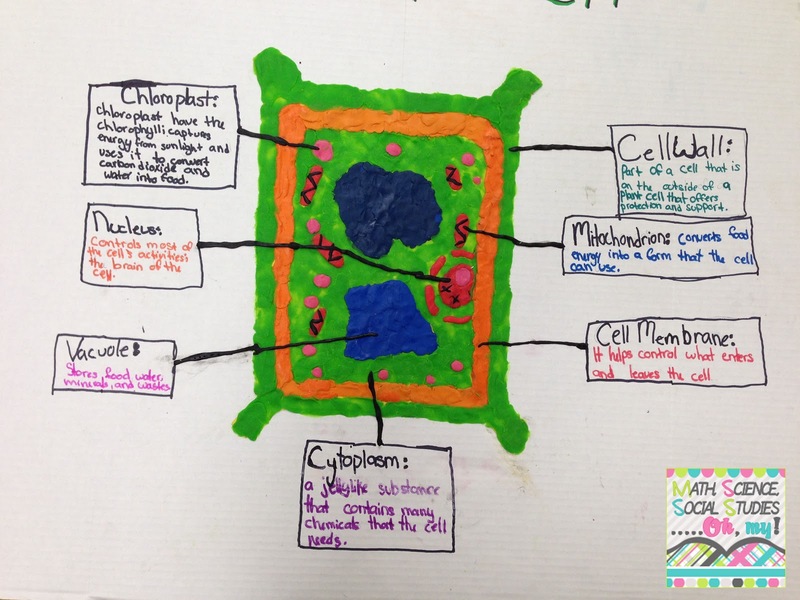 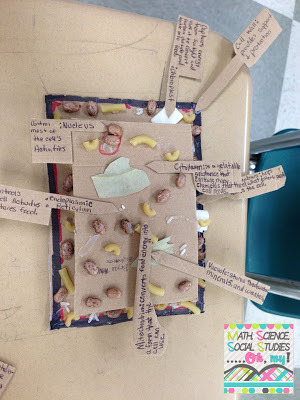 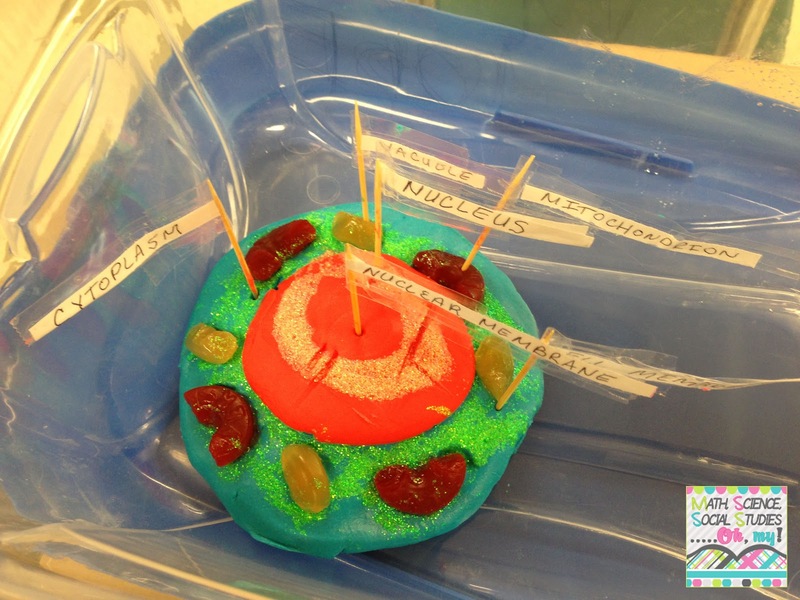 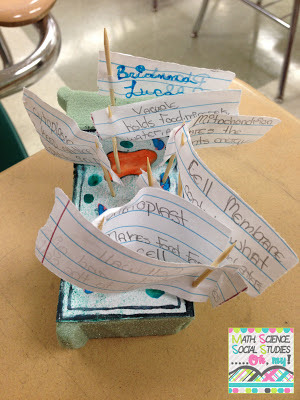 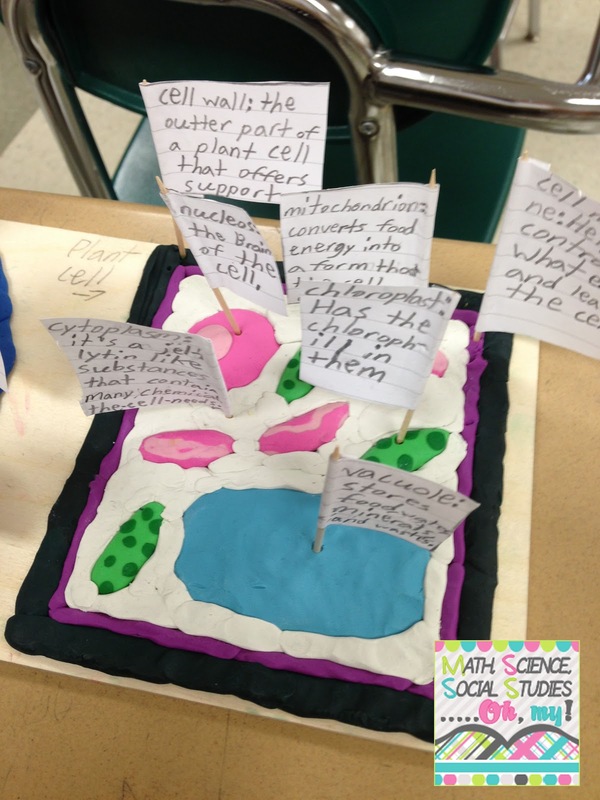 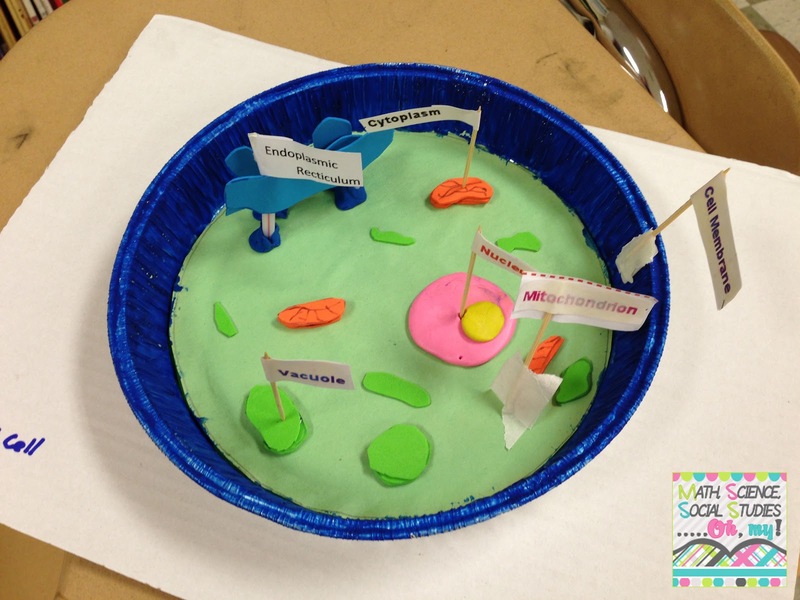 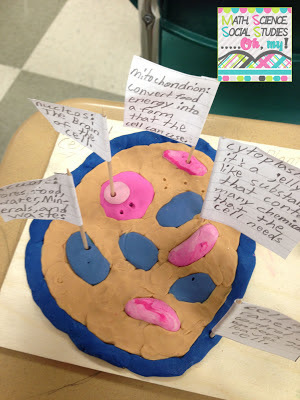 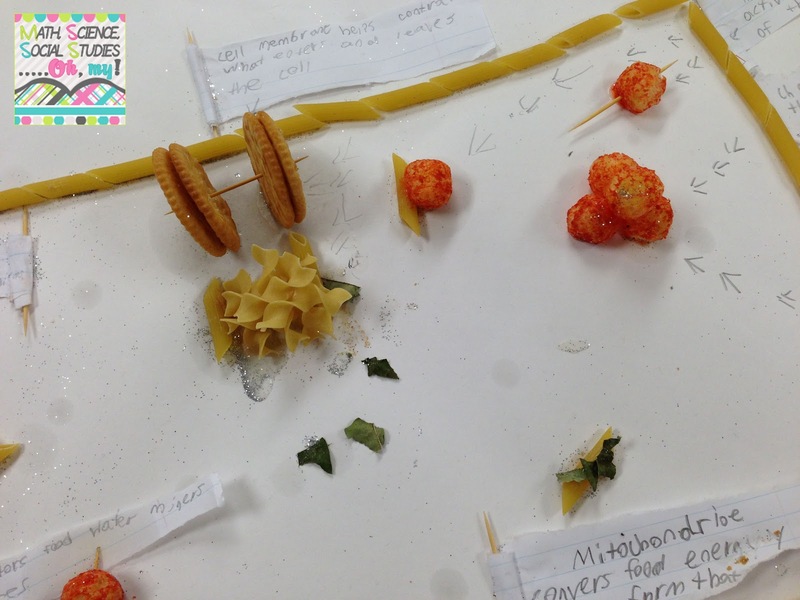 Each year during our life science unit I have the students make 3-d models of both a plant and animal cell. 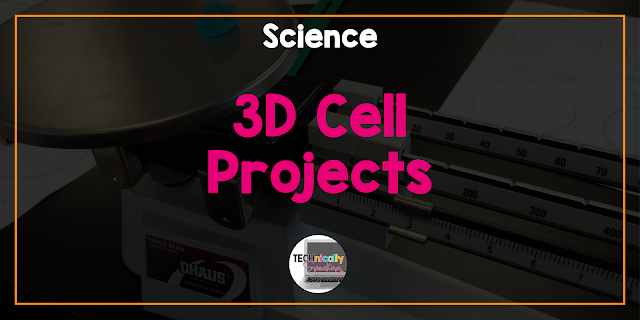 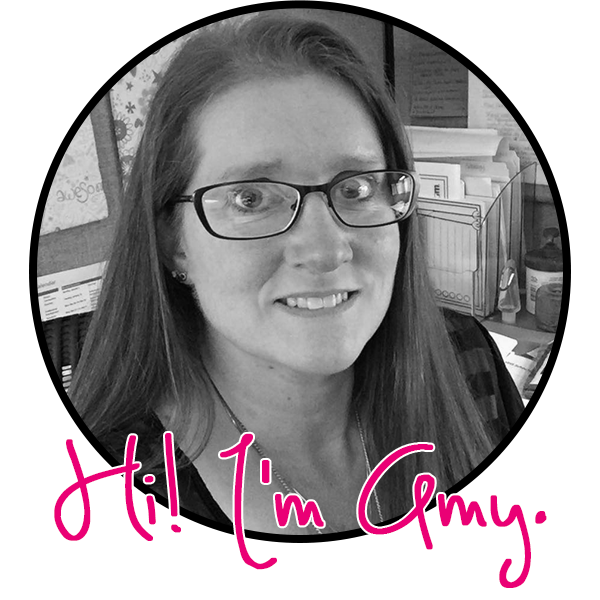 The only requirements I give them are that they have to be 3-d, they have to have the parts labels, and tell the functions of each part (which can be put on paper and doesn't have to be a part of the model). 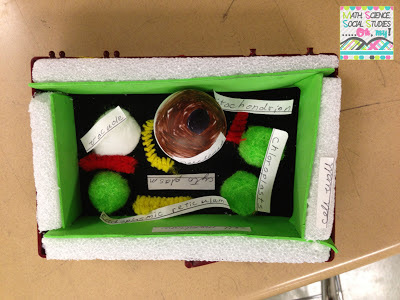 My students amaze me each year with their creativity and the ingenuity of their projects. The following are pictures of some of this year's projects.